According to economist Jesse Edgerton of JPMorgan Chase a Market Research Consulting Company, “a recession fundamentally is an outbreak of pessimism” that causes consumers and businesses to rein in spending. Currently, the Global economy is at an all-time high, but many analysts see a thunderstorm in the future, soon to hit the clear skies of the global economy. According to analysts, the economy is in its best shape since the Great Recession of 2007 to 2009. Unemployment is at an all-time low, and average wage growth is expected to grow by the end of the year. And the economy is projected to grow by nearly 3% in 2018. The economy is expanding and growing, yet, many economists and analysists foresee a recession as early as next year. Why? Since Everything is Going so Well, What is the Cause for an Impending Recession? Precisely because of this—that things seem to be going so well. Global Recession is a huge part of any booming economy—the late stage of an economic expansion is most vulnerable to a bursting of the bubble hence leading to economic recession. It’s typically the time when inflation heats up, unemployment falls, and the Federal Reserve raises interest rates, leading investors and consumers to pull back. But some reason is needed to tilt an economy into recession. The reason for the 1990-91 recession was an oil price shock. For the 2001 recession, the reason was the bursting of the dotcom bubble and resulting stock market decline. The reason for the 2007 global recession was the housing crash. What is the reason for the impending economic collapse 2020 recession? Higher inflation and asset prices are the leading cause of the recession. The rising wage and falling unemployment is a good thing, but eventually, higher pay will force companies to raise prices. Higher rates and inflation fears will push up other borrowing costs for consumers and businesses. The Federal government will raise their interest rate—including mortgage rates, thereby limiting home sales as well as business investment broadly—in an effort to cool down the economy. This will cause a raise in the US dollar. The higher interest rate could directly attack the low-middle income groups. Higher borrowing costs would increase the burden. High asset prices could also spark a recession in this scenario. Rising labor costs would eat into company profits, making stocks seem even more overvalued. Investors would automatically look to other risk-free bonds that would provide higher-than-current interest rates. Oil price spikes have contributed to every recession we have had since World War 2. A high oil price leeches the consumer’s purchasing power. If conflicts intensify between Iran and Saudi Arabia, leading to a dent in Saudi Arabia’s oil output, it could drive oil and gas prices higher. President Trump’s increased tariffs on steel and aluminum are expected to raise prices for consumers and businesses. It is also likely that this increased tariff will draw retaliation from other nations against U.S. exports. This trade dispute will almost certainly escalate, leading to slower growth and higher inflation. Once the recession thunderstorm occurs, it is predicted that the policy tools for addressing it will be severely lacking, unlike in 2008, when the government had the policy tools and wherewithal to prevent a spiraling downfall. The space for the financial incentive is already massively limited by huge public debt. The possibility of unconventional monetary policies will also be limited. Sooner or later when it comes, the next recession forecast is expected to be even more severe and prolonged than the last. 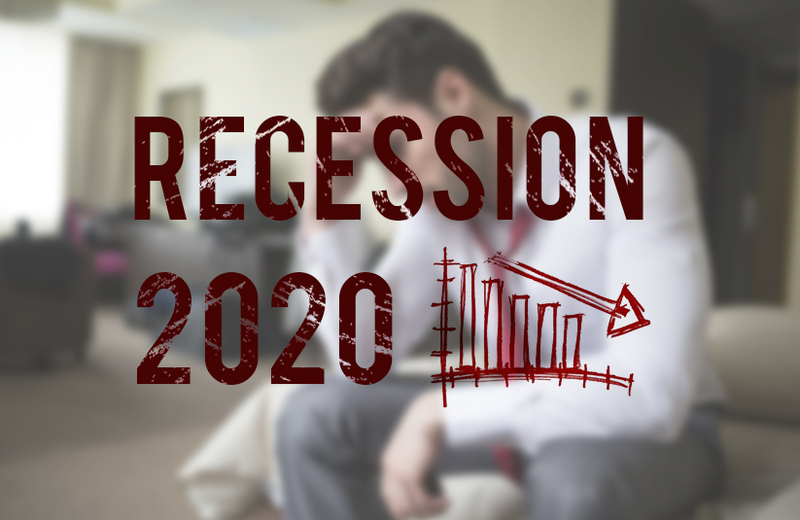 Many economists from market research consulting companies have come up that the 2020 recession might hit the globe on a high note and governments should take necessary actions by increasing the spending and cut down on the taxes to curb recession. Business consultants in India should keep in mind while mentoring companies the possible 2020 recession and its effects on business growth. Ourbusinessladder is a Market Research Consulting Company who provide 360-degree entrepreneurial support for existing and startups for their exponential business growth.